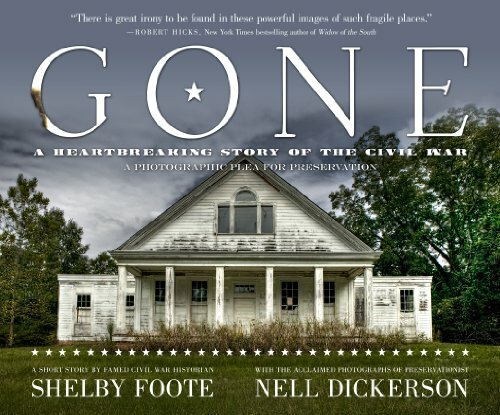 Gone is a unique pairing of modern photographs and historical novella. Foote offers a heartbreaking look at one man’s loss as Union troops burn his home in the last days of the Civil War. Dickerson shares fascinating and haunting photographs, shining a poignant light on the buildings which survived Sherman's burning rampage across the Confederacy, only to fall victim to neglect, apathy and poverty.